Richard Allen Schmitt, 79, of Breckenridge, MN, passed away on Thursday, September 20, 2018, surrounded by his loving family in Wahpeton, ND. Visitation will be held from 5:00 p.m. to 7:00 p.m., Sunday, September 23, 2018, at Breckenridge Lutheran Church, with a prayer service at 7:00 p.m. The funeral service will be held at 11:00 a.m., Monday, September 24, 2018, at Breckenridge Lutheran Church, with a visitation one hour prior to the service. Pastor Mark Manning will be officiating, and the burial will be held at a later date at Fairview Cemetery, Wahpeton. Richard was born in Breckenridge, MN, on September 13, 1939, to Wilfred and Dorothy (Hafner) Schmitt. After his formal schooling, he began working at Schweitzer’s Flax straw plant in Breckenridge and later, he was a delivery driver for Park Grant Groceries in Wahpeton. He was then a journeyman electrician for Twin City Electric, Wahpeton. On June 16, 1962, Richard was united in marriage to Shirley Nygaard at St. Mary’s Catholic Church in Breckenridge. The couple made their home in the town that raised them, Breckenridge, and were blessed with two sons, Scott and Timothy. In 1983, Richard was employed at the North Dakota State College of Science as a carpenter before becoming a project coordinator for the college. In 2012, Richard and Shirley began their retirement in rural Breckenridge. Throughout his life, Richard appreciated the outdoors and relished the time spent making memories during hunting and fishing trips. 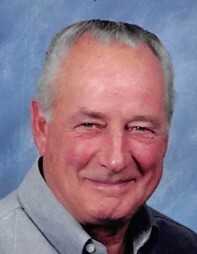 He continued to work on construction projects with Schmitt and Sons Construction during his retirement and kept up with his favorite western shows on the television. Ultimately, his greatest joy was found watching his grandchildren grow up and spending time with his family and friends. Richard will be greatly missed by his wife of 56 years, Shirley Schmitt of Breckenridge, MN; son, Scott (Jennifer) Schmitt of Abercrombie, ND, and their four children, Ethan, Chase, Alayna, and Beck; son, Timothy (Tammy) Schmitt of Cheyenne, WY and their child, Jeffrey; siblings, Ronald (Joanne) Schmitt, Joan Palmateer, Sharon (Harvey) Gully, Linda (Steve) Worner, Cindy (Michael) Zick, Gail (Dave) Wanek, Vonna (Keith) Fischer, and Mary (Greg) Beyer; brothers-in-law, Tom Devlin and Don Bakken; sister-in-law, Gail Schmitt. He was preceded in death by his parents, Wilfred and Dorothy Schmitt; grandson, Michael Schmitt; and siblings, Tommy Schmitt, Barbara Devlin, and Carol Bakken. Funeral arrangements have been entrusted to Joseph Vertin and Sons Funeral Home in Breckenridge. There's still time to send flowers to the Visitation at the Breckenridge Lutheran Church from 5:00 PM to 7:00 PM on September 23, 2018.